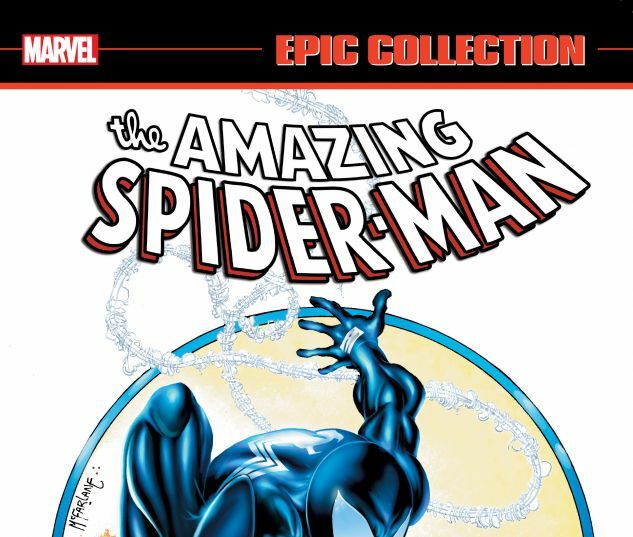 Collects Amazing Spider-Man (1963) #295-310 and Annual #22, Web Of Spider-Man (1985) #33 and Peter Parker, The Spectacular Spider-Man (1976) #133. Meet Spider-Man’s deadliest foe! The web-slinger may survive a mind-bending glimpse at life in the Mad Dog Ward, a run-in with Doctor Octopus and a Chance encounter. But the lives of Peter Parker and new bride Mary Jane will be turned upside down when his former symbiotic costume and disgraced reporter Eddie Brock combine their mutual hatred of Spider-Man to become…Venom! 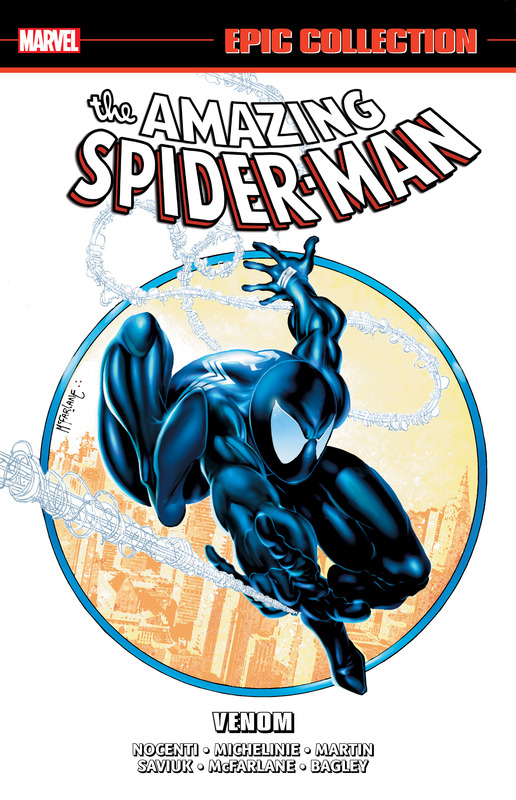 In time for adventures with Silver Sable and Sandman, Spidey returns to the ol’ red-and-blues — but nobody ever drew them like Todd McFarlane! The cunning Fox and the calculating Chameleon await. Styx and Stone will break some bones, and Killer Shrike can hurt you, too. But who kidnaps MJ? Plus: The heroic debut of Speedball!